Air India is the flag carrier airline of India and the third-largest airline in India in terms of passengers carried, after IndiGo and Jet Airways. It is owned by Air India Limited, a Government of India enterprise, and operates a fleet of Airbus and Boeing aircraft serving 85 domestic and international destinations. It is headquartered in New Delhi. 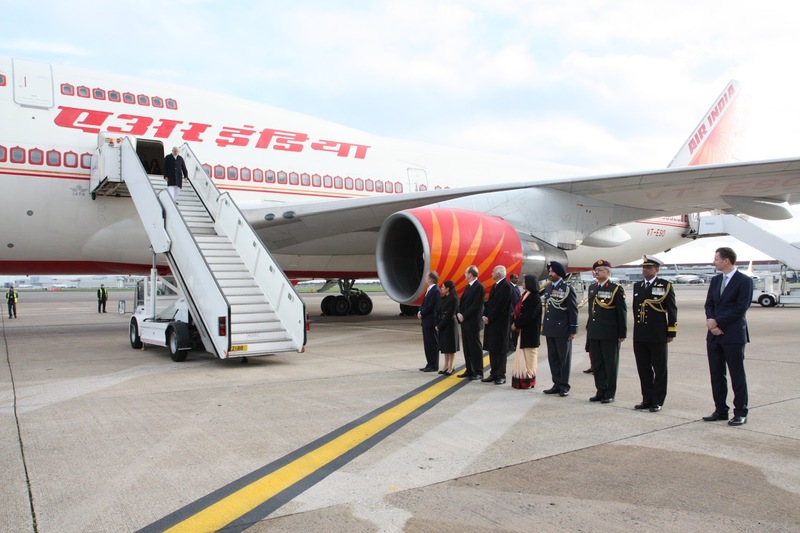 Air India has its main hub at Indira Gandhi International Airport, New Delhi and a secondary hub at Chhatrapati Shivaji International Airport, Mumbai. Air India became the 27th member of Star Alliance on 11 July 2014. The airline was founded by J. R. D. Tata as Tata Airlines in 1932; Tata himself flew its first single-engine de Havilland Puss Moth, carrying air mail from Karachi to Bombay's Juhu aerodrome and later continuing to Madras (currently Chennai). After World War II, it became a public limited company and was renamed as Air India. On 21 February 1960, it took delivery of its first Boeing 707–420 named Gauri Shankar and became the first Asian airline to induct a jet aircraft in its fleet. In 2000–01, attempts were made to privatize Air India and from 2006 onwards, it suffered losses after its merger with Indian Airlines. Air India also operates flights to domestic and Asian destinations through its subsidiaries Air India Regional and Air India Express. Air India uses the Airbus A320 family and Boeing 787 aircraft for selected domestic routes while long distance services use the Boeing 777-300ER, 747 and 787 aircraft. Air India's mascot is the Maharajah (Emperor) and the logo consists of a flying swan with the wheel of Konark inside it.